I just like the Berkshire Arms. The room was good and the breakfast very good. 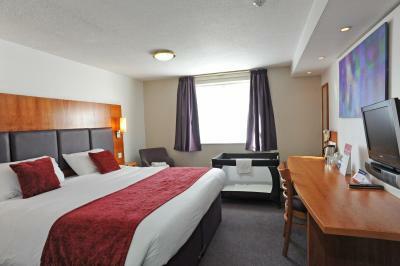 very comfortable and just what was required, my second stay and improves every time i stay. the wallpaper was coming off the walls...as was the heater in the room...and then the toilet was blocked! 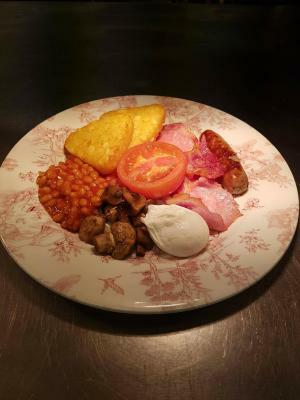 Good breakfast, good staff, very big beds, large room, good value & A pub on site. Restaurant was fine; service prompt; food and wine list OK. Beds comfortable. Room quiet Plenty of electric points. Staff very friendly, approachable and polite. 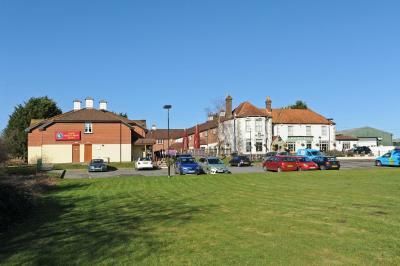 Pub and accommodation clean and in a lovely rural setting, albeit only a few miles from Reading. Ample supplies of good hot water in the bathroom. What food we sampled was freshly prepared and well presented. Breakfasts were substantial (English fry-up) and sufficient variety to qualify for a buffet if not quite continental alternative. Unlimited coffee, tea and juices were a bonus. £100 for two people/two nights definitely hit the price target. 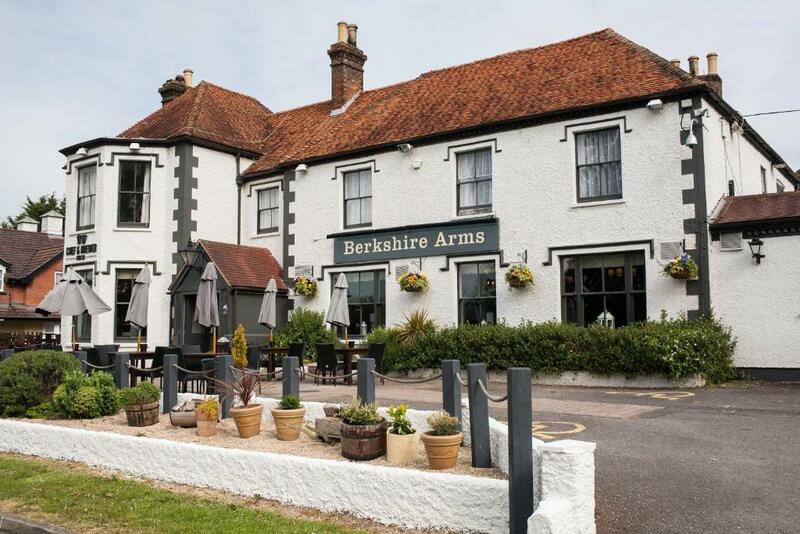 Berkshire Arms by Greene King Inns This rating is a reflection of how the property compares to the industry standard when it comes to price, facilities and services available. It's based on a self-evaluation by the property. Use this rating to help choose your stay! 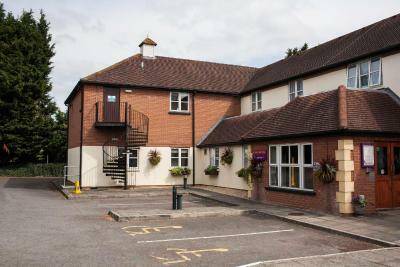 Within easy reach of the M4, Berkshire Arms by Good Night Inns is 5 mi from Newbury town center and Newbury Racecourse. Thatcham Train Station is 0.6 mi away. 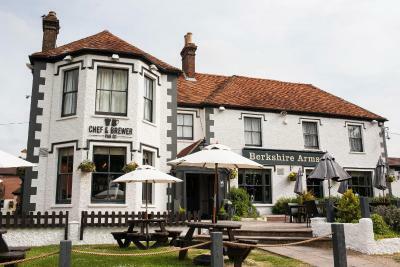 The Berkshire Arms started life as a Farmhouse back in the 18th Century. 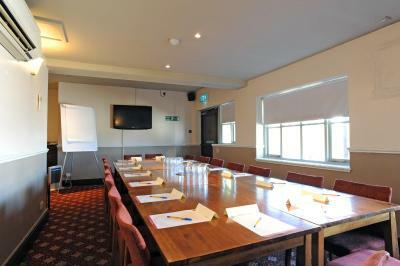 The hotel offers comfy beds, free parking, meeting facilities and an on-site Chef & Brewer pub and restaurant. 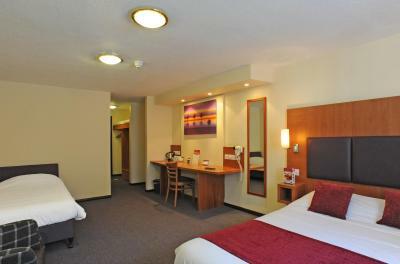 Each room has free WiFi, a flat-screen digital TV, a work desk, hairdryer, and tea and coffee making facilities. Iron and ironing boards are available upon request. 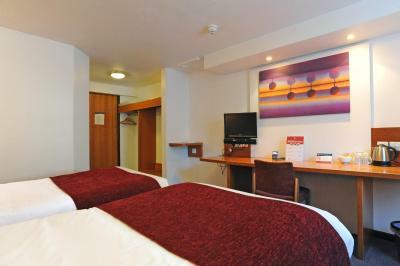 Some rooms at can take 2 adults and up to 2 children (under 16 years). The property is located on the A4 Bath Road, and just a 15-minute drive from the M4 motorway. 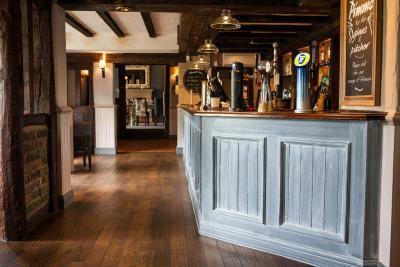 When would you like to stay at Berkshire Arms by Greene King Inns? 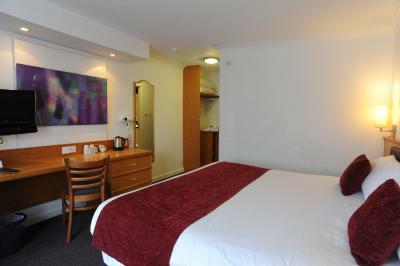 This comfortable room includes a TV, tea and coffee making facilities and an private bathroom. 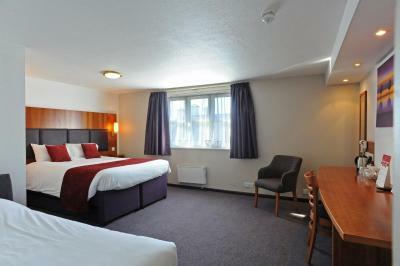 This comfortable room includes a TV, tea and coffee making facilities and an private bathroom. 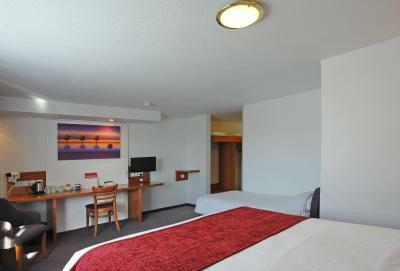 It has a double bed, a pull-out bed suitable for children up to 16 years old and a sofa bed suitable for all ages. Please note that only 2 adults are permitted in the room. If room is required for two adults that need seperate beds then please contact the hotel or please write in Special Requests when booking the room. Handicap accessible room with a lowered double bed. 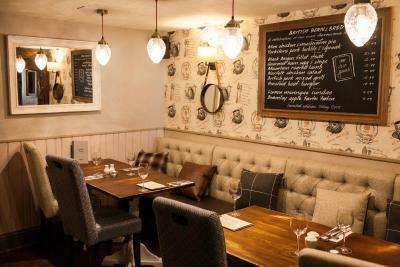 House Rules Berkshire Arms by Greene King Inns takes special requests – add in the next step! Berkshire Arms by Greene King Inns accepts these cards and reserves the right to temporarily hold an amount prior to arrival. Our stay was fine. The receptionist this morning was incredibly grumpy. Didn’t ask if I had had a nice stay and grunted when I asked her to pay for the breakfast separately for expenses purposes. She didn’t even say thank you at the end. There was a helpful gentleman who got a fan for us the night before as our room was hot. He was very helpful and friendly. The food was nice and the waitress which served us was lovely and very accommodating. Let down by Days Inn accommodation - needs overhaul - décor tired & tatty - loo handle broke - grout around bath black but the beds were comfortable. When I arrived our room was for 2 adults only , even though we booked for a family of three , had to wait for a room to be made up . The Breakfast was terrible , this first day my poached egg was like a bomb so hard ! Then the next day my husbands was under cooked and was sent back . Would not stay again . Only one big bath towel 🙁 need at least two big bath towels in a double room. My bed was reaching its sell-by, although my wife's was comfortable. Staff couldn't locate a shower mat so had to be a bit cautious. Bath itself wouldn't have been ideal for a soak. Excellent hotel every thing ok . Some of the food served was not hot and not great to be honest for the money. The lighting within both our room and relatives room had issues with switching on and off and lights not even working which indicates that the rooms don’t have a regular test procedure in place. Bathroom fan constantly ran 24/7 which again needed to be looked at. Wall heater didn’t work which left the room cold at night as the freestanding replacement left in situ didn’t work either. All in all the stay could have been that much better if the rooms were regularly checked. Room was clean and very comfy beds. Atmosphere was pleasant and relaxed with friendly staff. Unfortunately, I found that the carpet was not clean/dust free at the skirting edges , could do with attention as could under the beds, also very dusty, the smell of dust also when the wall heater came on, obviously from the heater elements!! Really did my share of sneezing!! Full marks for the breakfast and service. Ideal location for the purpose of visit. 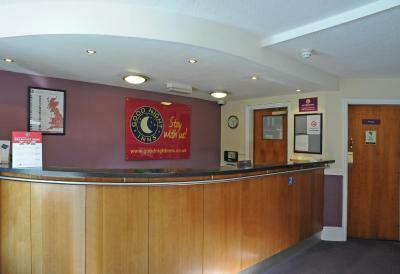 A bit of a corporate Greene King style, but friendly, clean and comfortable. Very handy for the Kennet and Avon Canal. Also, there's another decent pub just five minutes walk away, the Coach and Horses. Needs a facelift but clean and comfortable.